Anyone done any track days? Been riding since the 80s and since I was on a 1000cc bike I was stuck in the fast group with the super bikes. The Mt10 was quicker out of the corners than the super bikes, but was left behind on the main straights. Under maximum braking the back wheel snaked around and front forks had a squirmy wobble too. The front brakes were a bit dull. Generally its a great road bike, but struggles at the track in the hard out crazy group. So i took it too a suspension specialist and he racked up the pre load a bit more to max and got rid of any sag. He told me that I need a stronger rated spring for the rear shock. Yamaha doesn't make these. But a work shop guy said a wrecker might have something compatible. Anyone else track day'd the MT10? There are a number of really good videos on YouTube of the FZ/MT10 at track. I wish I knew how to do what you guys do. You make it look fun and easy (whereas I would probably make it look scary and stressful. Haha). Just seeing what the bike is capable of, in the right hands, makes me proud to own and ride it. 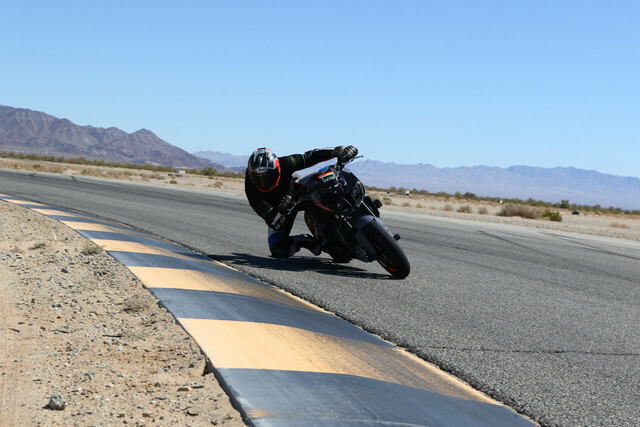 If you want to go to the track, don't let your fear of going hold you back, most track days are structured for skill level, beginner, intermediate, and advanced, and any good organization will put you in the beginner group if you have never been on the track. As long as you have some basic skill set on a bike to ride proficiently, you should be fine, you will find more help and like minded people willing to help you improve you riding. Research the organizations near you and pick the one that has the best reputation. There are some basic machine prep requirement and you will need safety gear, one or 2 piece leathers, boots, gloves, and helmet, most sport tires will do just fine until you reach the top group. If you like it, it can be addicting, and it improves you ability and makes you a better street rider, you won't want to push as hard on a public road because you know what it takes to ride hard and the consequences if you go over the limit. I'm based in Sydney and have taken the MT10 to a few track days, I also have an R6 full track bike. Kitted up in full leathers, boots and helmet I weigh about 85 kilos, so I find the stock suspension OK on the track but not great on the road. I haven't noticed the front forks wobbling under heavy braking and I'm not sure about the rear tyre snaking as I never use the back brake for hard corner entry braking. The stock brakes can be improved with a cheap modification of fitting sintered brake pads. The FZ/MT10's flat bars make it a bit more difficult to hug the bike going into corners and the stock rear sets make for plenty of peg and toe grinding, but the low down torque is great for lifting the front wheel after you've exited a corner and get on the gas. Totally agree with the call about Yamaha keeping the cost down by fitting base level brakes and suspension, but hey you can always alter that to suit and still be dollars in front of the competition naked's. papawheelie what mtneer says is a 100% correct. There is a big difference between race days and track days, find a track that puts you into a specific group of riders of the same ability and a coach, you won't regret it, and yep it's addictive. CHEERS BRO FOR THE COMMENTS. HELPFUL. 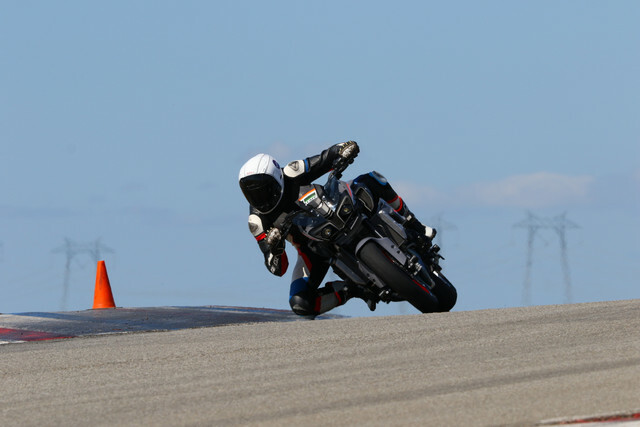 Just my 2 cents but I've done a few trackdays on my FZ-10 and I've been doing trackdays since '99. I ride "A" group and most of the guys I ride with are racers practicing. Same bikes, same track, same riders. We dice it up. Whatever. I know guys who just do trackdays who are as fast as the top five AFM Superbike racers. I'm not, but they are. I have owned several track bikes with a lot of very expensive suspension work. My suspension guy (Dave Moss) said the FZ-10 suspension was spot on, no rework needed other than a few adjustments. I agree. A faster guy might notice the difference, but I don't. IMHO the brakes are fine too, they just lack feel. New pads make all the difference. 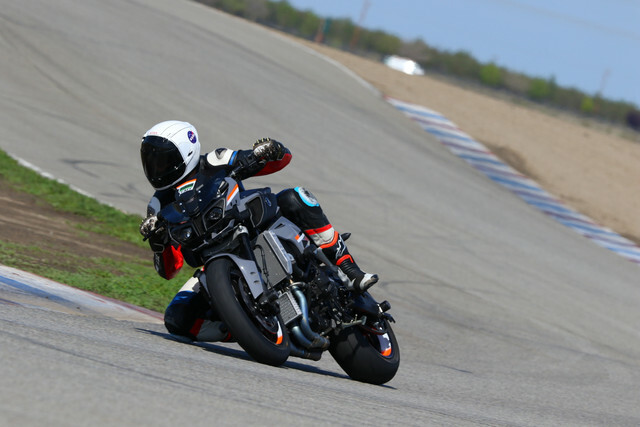 The only thing the FZ-10 really needs at the track IMHO is rear sets. The pegs drag way too easy. But they were designed to be low for comfort. If you want a track bike, get an R1 or an R6. deftone , yep, yep and yep, that's it in a nut shell. I'd agree that the suspension will work pretty well on the track for most guys (assuming the spring rates are right for you). It's basically a revalved R1 setup. Better suspension on this bike pays dividends on the street. As far as brakes and rearsets...upgrading both is a nicety. Not a necessity, but a definite improvement. I bought my bike in January and have tracked it 3 times since. Before I even took it to the track, I put a R1 shock on it with the proper spring, I'm 6'4" 220. The R1 shock is ride height adjustable which is very helpful to get the bike set up to turn for the track. Once I raised the back up a bit the bike turned a lot better. The fork is a pretty nice unit. As of now, my bike is bone stock for brakes, they definitely arent great, but also not terrible. I am removing the ABS and replacing the master cylinder and lines soon. Rearsets definitely help, dragging toes on the stock set is really easy. I like a lower set of bars, but that is a personal thing. I was pretty comfortable on the track, riding in A group no problem at all. Here are a few pics from my last time out. I’ve contemplated deleting the ABS pump, what lines are you going to use since now you’d only need lines going from the MC to the calipers? Are you getting a pump delete module to get rid of any check engine or ABS lights? I got the ABS delete plug from ftecu.com The module is so big and heavy that I wanted to remove it and all the stock lines are SOOOOOOOOOOOOOOOOOOOOOOOOOOOO ugly. As for new lines, I am using Core Moto. They have made me custom lines for other bikes and they are REALLY nice. I should have it all tomorrow and then put it together tomorrow. I will post it all up.